A Co Antrim teenager was today ordered to stand trial in the New Year for the murder of a woman on Christmas Day last year. 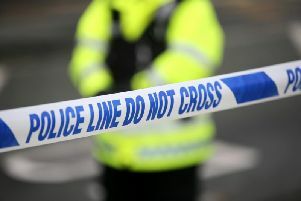 Nathan Ward,19 and of Mornington Lane, Lisburn, appeared at Belfast Crown Court for an arraignment hearing on three charges in connection with the incident. Dressed in grey tracksuit bottoms and a black T-shirt, Ward has led into the dock in handcuffs by two prison officers. Ward pleaded not guilty to the murder of 43-year-old nurse Jayne Reat on December 25, 2017, and not guilty to the attempted murder of her 21-year-old daughter Charlotte Reat on the same date. He further denied a charge of unlawfully and maliciously wounding his father Joseph Tweedie with intent to cause him grievous bodily last December 25. All the offences were alleged to have been committed at a house in Mornington Lane. As he entered his not guilty pleas, Charlotte Reat broke down sobbing in the public gallery and was comforted by family members and friends. Defence barrister Joel Lindsay told Mr Justice Colton that a consultant psychiatrist was being instructed to assess Ward’s mental state at the time of the incident. However, the defence barrister told the judge that a matter to be looked into was whether he committed the acts by way of “diminished responsibility”. Mr Justice Colton set the trial date for February 11, 2019. The trial is expected to last up to three weeks. The judge added that he would review the case in early December for an update on the psychiatrist’s report. When Ward was led handcuffed back to the cells to await his trial, Charlotte Reat broke down again and was heard crying as she left the courtroom.